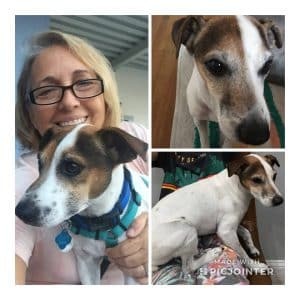 Courtesy Post | 100+ Abandoned Dogs of Everglades Florida, Inc. Courtesy post, an attempt to save this sweet cats life. Was only pet. One owner/adopted at 8 weeks old. Very chill. Loves to sleep on couch. 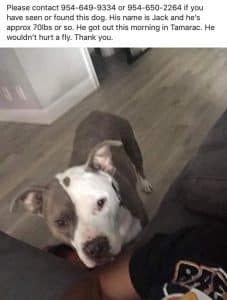 This is a courtesy post we do not have this dog. 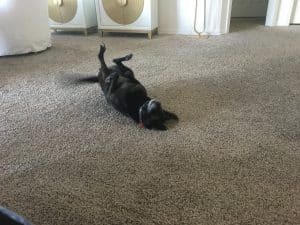 We do not have Room to take in this dog. 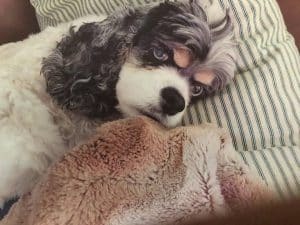 Marvin was found roaming the executive airport in Fort Lauderdale. 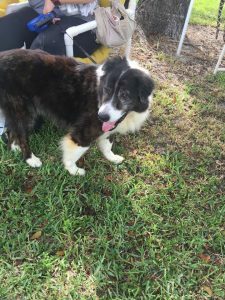 A local family business has taken him in to give him shelter and food for a very short period. They cannot keep this dog. If we cannot find A home this young boy Marvin will be taken to the kill shelter. There are no shelters that do not kill in our area. All of the shelters here are full and killing daily. He is sweet he loves to cuddle in your lap. He is not micro chipped this is all we know about this boy Marvin. If you can assist in any way please reach out to us. Let’s try to help this boy escape the fate of death. He is young. 100plusabandoneddogs@gmail.com. 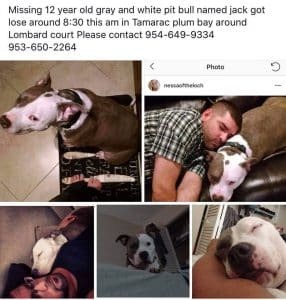 HELP FIND JACK! GOT OUT THIS MORNING. THIS IS A COURTESY POST. 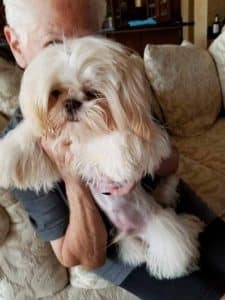 UPDATE – OWNER HAS BEEN FOUND!! Please help us find this boys owner. 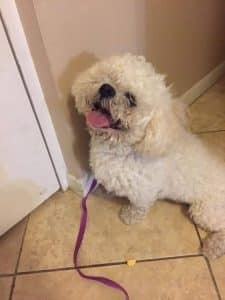 I found this guy wandering around the Ramblewood East complex in Coral Springs (near wiles and riverside/university)He is not microchipped. He is a well taken care of. 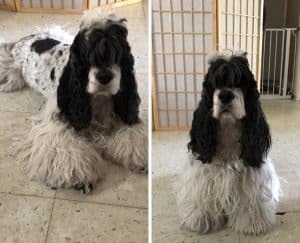 You must show proof of ownership if this is your dog. please share and help me find his owners! URGENT FOSTER NEEDED TO KEEP HER OUT OF THE KILL SHELTER. Mention Gizmo. 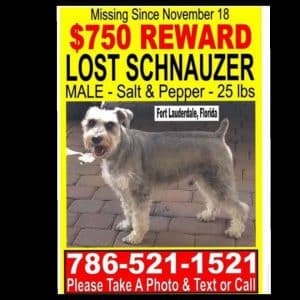 Located in the Fort Lauderdale Florida area. No shipping or transporting. 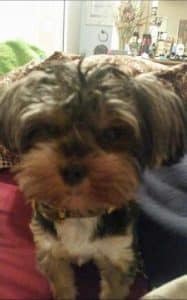 Please help me find my Shih Tzu puppy, Corey. 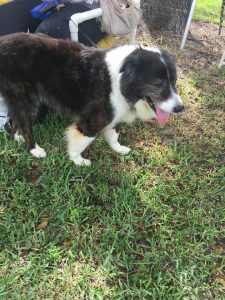 He ran into Lucerne Lakes off Lake Worth Rd, early this afternoon. We have been looking all afternoon and have not been able to find him.He’s wearing a Red Harness and a Red Leash. 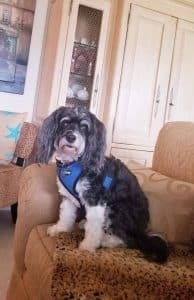 Please call me at 561-214-4548 or 561-523-9427. Please share this…the more people that know, we should be able to find him. There is a REWARD OFFERED! 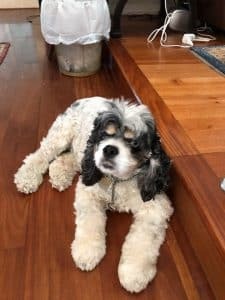 Courtesy Post – Toby needs a new home. FORT LAUDERDALE AREA, WE DO NOT SHIP OR TRANSPORT. THANK YOU. THIS IS A COURTESY POST. 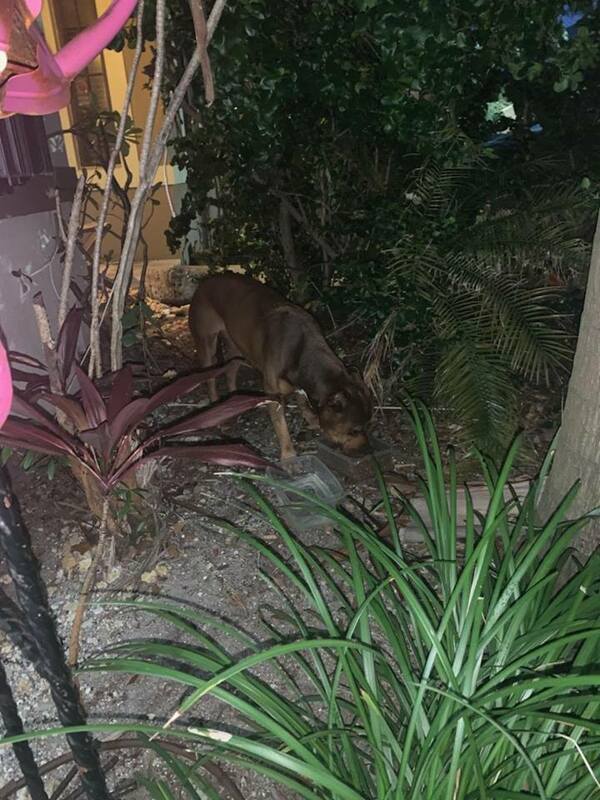 Dog Found 10/8 around 3 pm just South of Stirling Rd & SW 12th Ave Dania Beach, Fl. Male Pit bull puppy. He is so sweet. No chip. In good health. 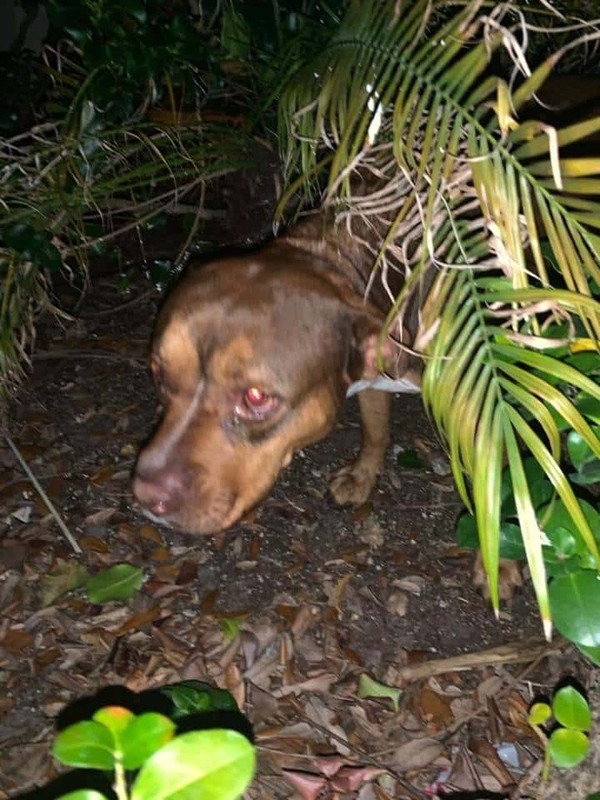 Please contact 954 240 7158 if you know who this dog belongs to. If you can offer him a forever home that would be wonderful !!! 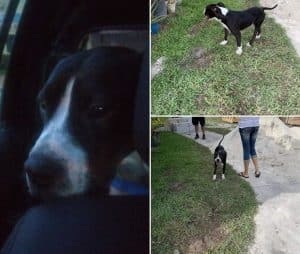 FOUND IN WILTON MANORS, FL – Someone must be missing this boy! 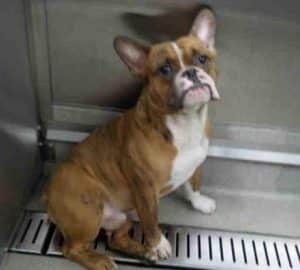 ID#A1986376 Email rescue@broward.org He’s at Broward County Animal Care. SADLY THIS LITTLE BABY WAS FOUND AND HAD BEEN HIT BY A CAR AND DID NOT SURVIVE. ABSOLUTELY HEARTBREAKING. PLEASE SHARE! THIS IS A COURTESY POST! 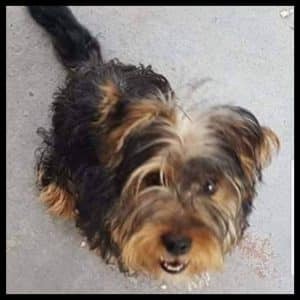 Lost Yorkie. Needs seizure meds. Went missing Sunday night around East Atlantic Blvd and Cypress Rd area in Pompano Beach. Microchipped and was wearing a tag. If seen or found please contact Nancy. 954-205-5000. Family is devastated. Reward is being offered. 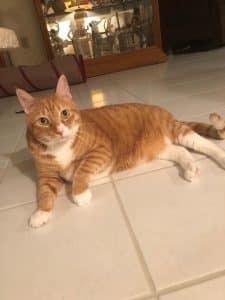 Guys we need your help Tabby here 8 years of age neutered vaccinated and declawed has lost his mommy she is going into an assisted living leaving him without a loving home. 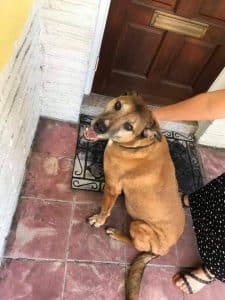 Please if anyone can help and take this sweet loving boy into their home so he does not have to go to a shelter please contact us . 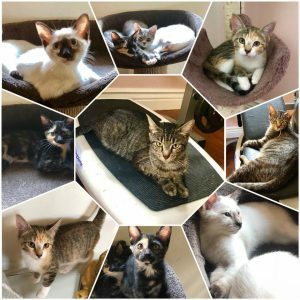 All 6 kittens and their Mommy are in need of loving homes. UPDATE!! REUNITED WITH HIS FAMILY! 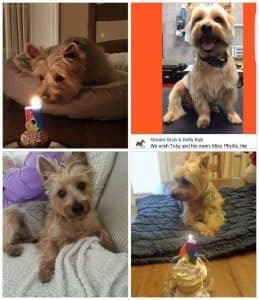 OWNER DESPERATE TO FIND THEIR DOG WHO NEEDS MEDICATION! We have posted flyers all over Miami Springs, Virginia gardens and perimeter road. He’s on Facebook, next door app and finding rover. I’ll add to paw boost now. 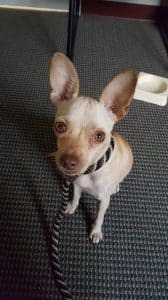 He is mostly white with a multi color face wearing a blue collar with his rabies tags. They are registered and current. He is not chipped. Between TPK and University, south of Pembroke Rd. Just 8 lbs. WE ARE DESPERATELY TRYING TO FIND THIS YOUNG BOYS OWNER. PLEASE SHARE IN HOPES HIS FAMILY IS LOOKING FOR HIM. After spending All night making sure little Nina was safe after she was found running scared on the streets of Hollywood, our Hearts are Bursting that we were able to reunite Nina with her Mommies! 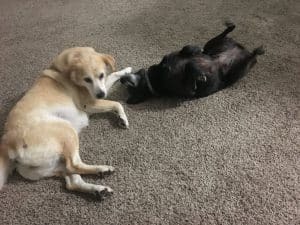 Here is a post & a Thank you from Nina’s Mommy. So the past 11 hours have been the most humbling yet. Don’t ever think that “this will never happen to me and my dog!”….ANYTHING can happen. 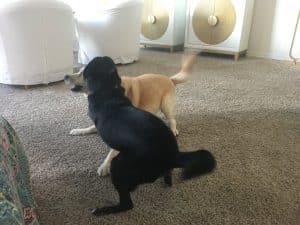 A slip out of a collar takes milliseconds and if you have a fast/skittish dog like Nina, chances are, she will be out of sight in a flash. Literally. A flash. 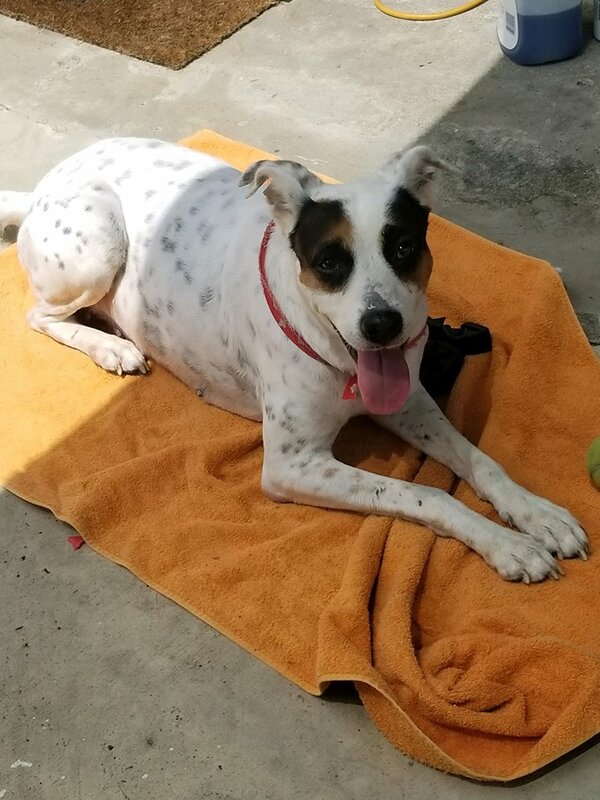 I cannot begin to thank Amy Roman and 100+ Abandoned dogs of Everglades Florida for bringing Nina home safe and sound. (Trying to upload the video of her return home, but it’s taking forever so it will come later). Honestly, we were lucky. Mommy #1, Christine, and Mommy #2 (me) =) will forever be grateful for the work you do. 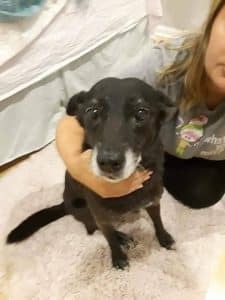 Despite having over 7 people helping me last night close to midnight trying to locate sweet Nina, it was the dedication of this rescue that brought her home. They did not say “it’s a holiday tomorrow, we’re taking a break.” They are rescuing and searching for lost dogs 24/7. They are the heroes without a cape. I have been humbled. It CAN happen to anyone. Please find some pictures of Nina’s reunion with her sister Lily. Everyone thanks you, Amy Roman-Daniello, and your ENTIRE team of heroes. UPDATE!! 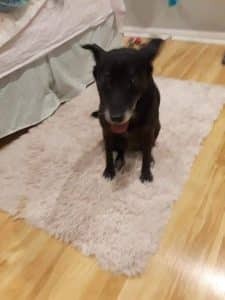 OWNER FOUND! SHE HAS BEEN OUT SEARCHING ALL NIGHT! SHE WAS HYSTERICAL AND SO GRATEFUL! DOG SLIPPED OUT OF HER COLLAR. SHE PROMISED TO MICROCHIP & DOUBLE LEASH MOVING FORWARD. THANK YOU ALL FOR YOUR HELP & SHARES. NINA IS BEING PICKED UP AS I TYPE! 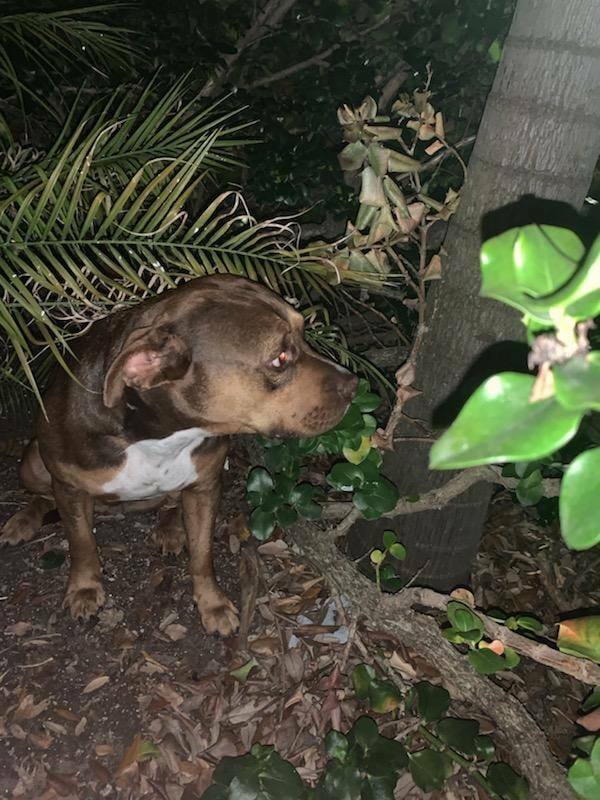 THIS IS THE DOG WE PICKED UP LATE LAST NIGHT IN HOLLYWOOD. SHE HAS BEEN OUT SEARCHING ALL NIGHT! SHE WAS HYSTERICAL AND SO GRATEFUL! DOG SLIPPED OUT OF HER COLLAR. SHE PROMISED TO MICROCHIP & DOUBLE LEASH MOVING FORWARD. THANK YOU ALL FOR YOUR HELP & SHARES. NINA IS BEING PICKED UP AS I TYPE! 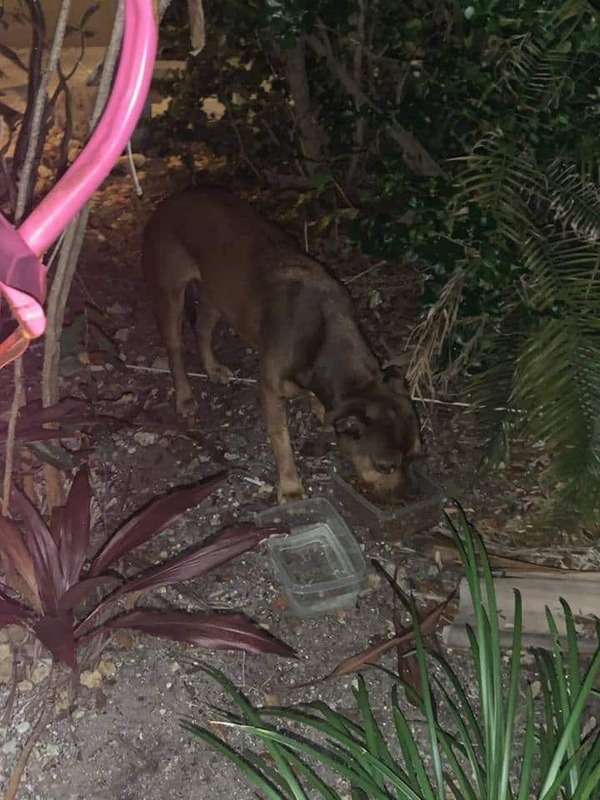 Late last night we received an urgent call this girl was terrified trembling on the streets of Hollywood FLORIDA by Walmart and literally jumped into the womans car. 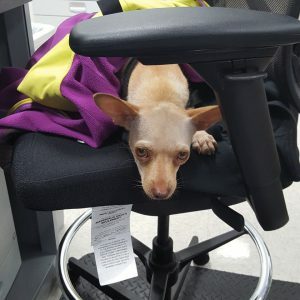 We instructed her to take her to Hollywood 24 hr animal hospital to see if she had a microchip. No chip, no collar. 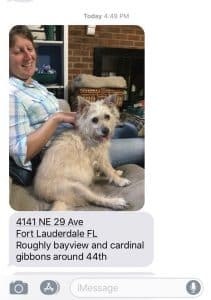 Hollywood animal hospital would not hold for even 1 night and instructed the finder to bring and drop off at the overnight outside drop off box at the Broward kill shelter! We called every animal hospital to try to find a place to hold her and keep her safe. No luck! 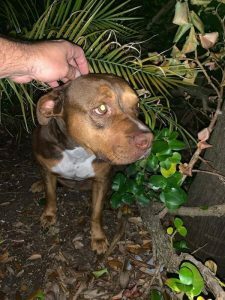 I then reached out to our volunteer Andrea who graciously said she would hold her to keep her safe while we desperately try to locate an owner. This literally went on until after 2am to get her safe. 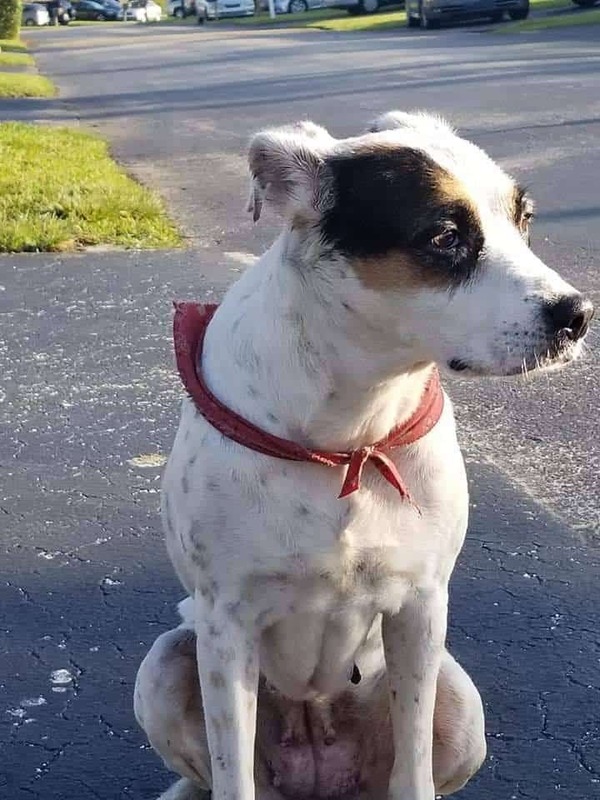 We are asking all of you to please share this post in hopes there is an owner looking for their dog.